Bucking the idea that environmentalism hurts economic performance, a new UCLA-led study has found that companies that voluntarily adopt international "green" practices and standards have employees who are 16 percent more productive than the average. 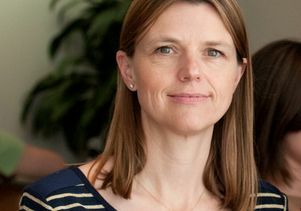 Professor Magali Delmas, an environmental economist at UCLA's Institute of the Environment and Sustainability and the UCLA Anderson School of Management, and Sanja Pekovic from France's University Paris–Dauphine are the first to study how a firm's environmental commitment affects its productivity. Their findings are published online Sept. 10 in the Journal of Organizational Behavior. "Adopting green practices isn't just good for the environment," Delmas said. "It's good for your employees and it's good for your bottom line. Employees in such green firms are more motivated, receive more training, and benefit from better interpersonal relationships. The employees at green companies are therefore more productive than employees in more conventional firms." For their study, "Environmental Standards and Labor Productivity: Understanding the Mechanisms That Sustain Sustainability," Delmas and Pekovic collected data from a survey of employees at 5,220 French companies, randomly selecting two employees from each company for a pool of more than 10,000 people. Companies that had voluntarily adopted international standards and eco-labels such as "fair trade" and "organic" or the International Organization for Standardization's ISO 14001 certification were identified as green. The researchers determined each company's productivity by taking a logarithm of its value added (revenue minus costs), divided by the number of employees, which produced the average value of production per employee. They discovered a difference of one standard deviation, which corresponded to 16 percent higher-than-average labor productivity, in firms that voluntarily adopted environmental standards. The employee surveys showed how much training employees received and how often they interacted with co-workers — which Delmas and Pekovic found also correlated with green companies. "It's truly a big difference between firms that have adopted these practices and firms that haven't," Delmas said. "I expected a contrast, but not such a strong, robust jump in productivity." Green certifications should be used by managers to increase productivity, by potential employees as a sign of a better work environment, and by investors as an indicator of good management practices, Delmas said. Previous research has already shown that sustainable business practices can result in cost-efficiencies, but Delmas and Pekovic are the first to explore the link to labor productivity. "It's a counterpoint to people thinking that environmental practices are detrimental to the firm," Delmas said. "Green practices make a company more attractive because so many employees want to work for a company that is green, but we also argue in this paper that it's more than just wanting to work there — it's working more." The findings reflect a change in attitudes, according to Delmas. "When you talk now to M.B.A. students, there's a big change in the way they look at their future job," she said. "They don't want to work just to make money. They also want to make a difference. There's a little more social consciousness than there was before." Because fair trade, organic and ISO 14001 are international certifications that are commonly used in the United States, the findings are applicable in the U.S. and around the world, the authors said. All three eco-labels are third-party certified: Fair trade certification requires fair wages and treatment for employees; organic certification recognizes commitments such as working without pesticides and other chemicals; and ISO 14001 certification requires firms to set up an organizational structure to investigate the company's environmental impact and how to reduce it. The higher-productivity effect stems from employees' appreciation for their workplace, Delmas said. The certifications, especially ISO 14001, include educating employees about a firm's environmental commitment and require employees to work together across departments to reduce the organization's environmental impact. This education and training helps increase employees' identification with their office, while interdepartmental cooperation increases employees' engagement. "It's a virtuous circle," Delmas said — the opposite of a vicious cycle. "You attract the best people, and because you're open-minded, then you adopt green standards, and then you attract even better people, and this continues to feed itself. Companies that adopt these policies tend to be better. It could be they were better to start with, but there are mechanisms built into these policies that mean they continue to get better." Although the companies from the survey retain confidentiality, it's an effect Delmas said she has seen elsewhere many times. At Patagonia, a sports-clothing company well known for its sustainable practices, every job opening receives an average of 900 applicants eager to work for a green company, she said. At the Ambrose Hotel, a boutique hotel in Santa Monica, Calif., adopting wide-ranging sustainability measures made employees happier and healthier, Delmas found in a case study. Housekeeping workers reported fewer headaches, allergies and sick days after switching from chemical cleaners to non-toxic, green cleaning products. In her research, Delmas has found that wineries also adopt the organic label to improve employees' health. "I hope managers look at this and see the potential for their firms and employees," she said. "Socially responsible investors say green practices are a proxy for good management. It's also important for regulators to see that some voluntary practices can have beneficial effects."